Bestselling "The Heart And The Fist" Author Eric Greitens Releases New Book Titled "Resilience"
Eric Greitens, a former Navy SEAL, who is the author of the bestselling book about his experiences on extraordinary service and leadership, "The Heart and the Fist," has released his new book, "Resilience: Hard-Won Wisdom for Living a Better Life." 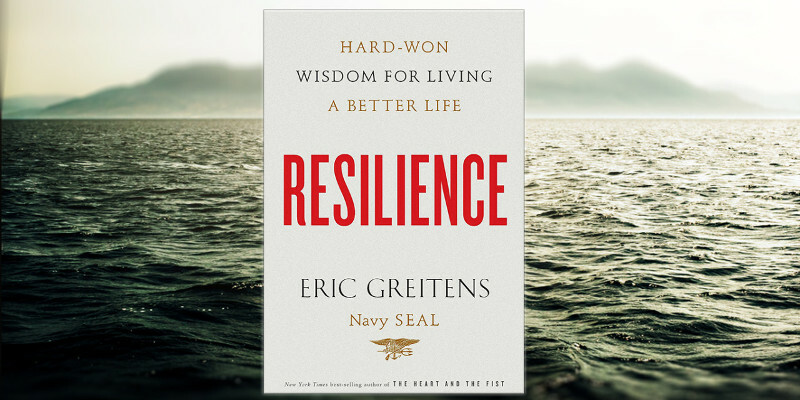 In the new self-help book, Greitens and his former comrade in the Navy SEAL, Zach Walker, demonstrate how to overcome obstacles through the use of positive action. Meanwhile, the popularity of Greitens' book "The Heart and the Fist" has been indicated in an article by Lea Carpenter in the Big Thinks website, a free to use online knowledge forum. Lesson 12 on Think Big by Lea Carpenter specifically looks at the importance of remembering and memorializing, and what this says about people on a more personal level. This links in closely to the work of Eric Greitens, particularly on the Greek concept of phronesis. "Monuments and speeches are symbols, physical texts of remembrance," says a Big Think representative. "For the memory itself we need only soldiers willing fight. In doing so, they grant us the gift of something to memorialize. Pericles - with a little help from Thucydides - reminds us of that gift's power." For those who are not yet aware of Greitens' bestselling book, they can view The Heart and the Fist trailer on YouTube. The trailer explains that the book is a moving and inspiring personal memoir; one that is told by a warrior with genuine humility. Greitens strove to be strong in order to be good, but he found out that, in order to be strong, he first had to be good. His journey is a lesson that everybody is able to learn from and, according to Big Think, this is his memorial, and the way he will be remembered forever. Meanwhile, in the new book "Resilience" the letters Greitens and Walker wrote to each other provide insights and wisdom into real life experiences. Walker had been suffering from PTSD and hiding his pain with heavy drinking. The book shows people how to confront any pain they are facing, build purpose, develop their vocation, practice compassion, create happiness, find a mentor, think about their own life stories, follow a role model, and more.